Wiley Sanders services include over the road dry van freight for your cross-country and regional shipping needs. We provide demanding shippers guaranteed capacity and regular, on-time delivery with competitive pricing. We offer both irregular route and dedicated services tailored to your shipping needs. 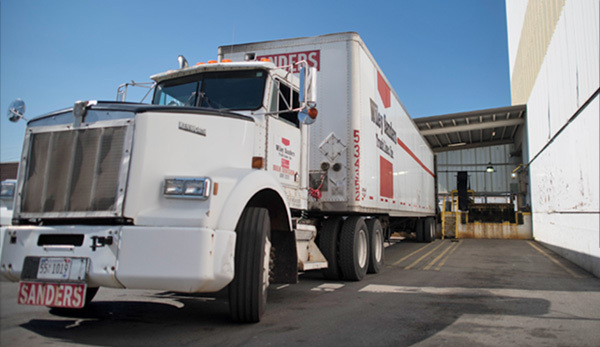 Operating in 48 states, Wiley Sanders Truck Lines maintains mutually profitable relationships with hundreds of the nation’s most demanding shippers. We owe our reputation for reliability, on-time delivery and flexibility to our great drivers, a company owned fleet and a modern 100,000 square foot repair and maintenance center. We haul a variety of products—including paper, plastics, dry food products, beverages and more.